While I receive daily notifications of various sweepstakes and contests occurring across the internet, last month I was introduced to one that was not only fun, but incorporated everyone's unique ideas and taste preferences as well. I'm talking about the Lay's "Do Us A Flavor" contest! Simply visit DoUsAFlavor.com, select between the three potato chip forms – Lay's Original, Lay's Kettle Cooked and/or Lay's Wavy – and submit your flavor ideas by April 5th, 2014. From there, a judging panel made up of chefs, foodies and flavor experts will narrow down the contest submissions to four finalist flavors. 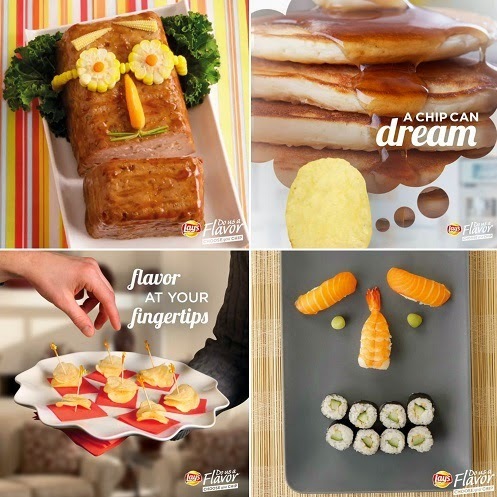 The four finalist flavors will then be fully developed by Frito-Lay's culinary experts and unveiled in July 2014 and sold nationwide. Then it will be up to fans to vote for the finalist flavor they want to see stay on store shelves, and the finalist behind the winning flavor will take home the million dollar grand prize (again, see complete rules here)! Sweet, savory, salty, spicy... what flavors have you come up with to submit? Although I don't consider myself to be the most creative chef in the kitchen, I do love finding new and tasty ways to change up meals, sides, baked goods and more. After all, you just never know when a spur-of-the-moment reach for a fruit or vegetable just might take a recipe to the next level! When looking back at my unique creations ("unique" meaning "different from the typical, monotonous items that emerge from our kitchen"), I have realized that one theme has emerged more than once: muffins. Whether I used an existing recipe and altered it a little to make it my own or I grabbed a little of this and a little of that and mixed it all together, these small, tasty mini-breads have ended up family favorites more than once. 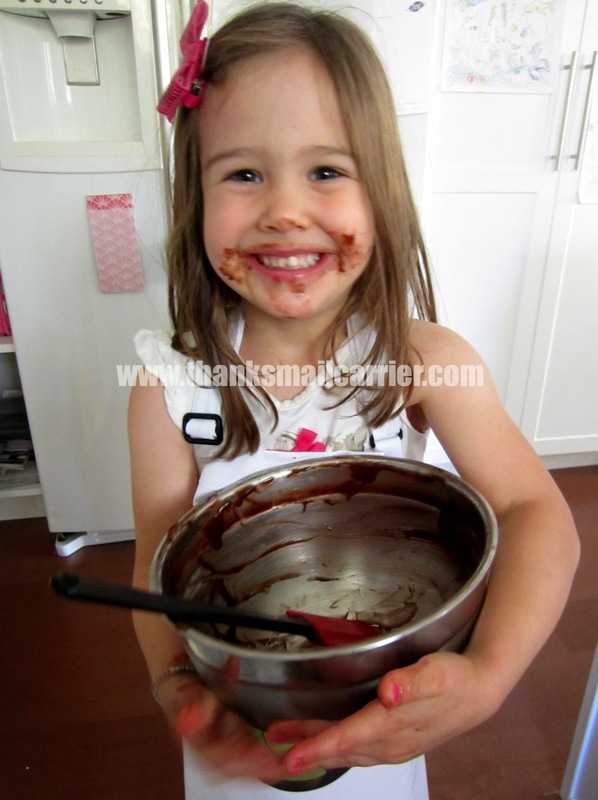 Not to mention that the girls are always more than happy to help with the measuring, mixing and more. Pretty much as far back as I can remember, they've been a bit overeager to be hands-on in the kitchen no matter what! This photo is over a year old but has always been a favorite of mine! So, what are a few of the muffin recipes that we've created that have wowed us time and time again? 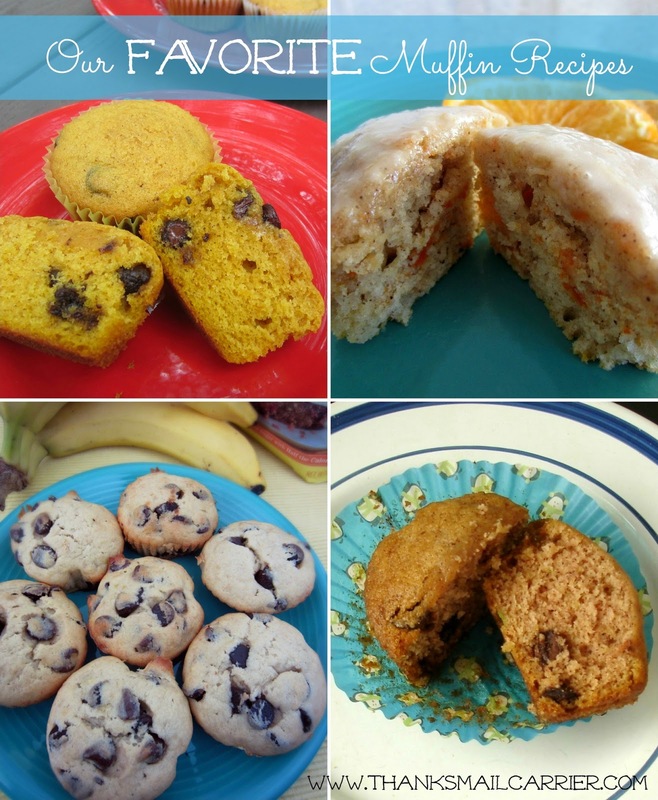 Clockwise from the top, these are our Pumpkin Chocolate Chip Muffins, Carrot Cake Muffins, Zucchini Chocolate Chip Muffins and our Banana Chocolate Chip Muffins and each one has been met with rave reviews every time it has been made! While I'm not sure that one of these in particular would make a stellar submission in the Lay's "Do Us A Flavor" contest (carrot cake chips? Nah), I do think that chocolate, the ingredient that appears in three out of the four of these recipes (and would probably be a tasty addition in the fourth!) would make an excellent potato chip addition. I love the sweetness of chocolate mixed with the saltiness of potato chips, so I'm thinking something along those lines would be a fantastic chip, wouldn't it? While I ponder over what flavors would go best with chocolate (because what doesn't go well with chocolate? ), be sure to head over to DoUsAFlavor.com and enter your family's favorite recipe to see if it just might end up being turned into a yummy potato chip flavor! 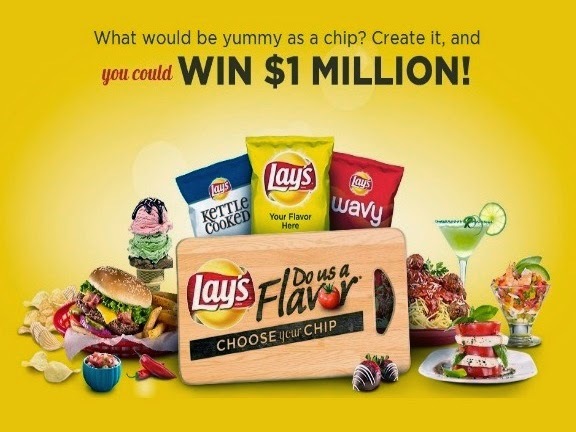 Simply come up with the flavor name, up to three ingredients, the chip style and a brief description – but remember that this contest ends on April 5th, 2014, so don't miss out! Those muffins look delicious, but your little cutie is the best! Love it! this sounds like a very creative contest. This is such fun! Last year I entered for fun. I'm going to see if I can come up with an idea! they come up with some amazing flavors. i don't know how they do it. i can't even think of some of these together!!! I don't want sweet in my chips. Spicy, yes, sweet, no. I love sweet and salty pairings. Its one of my favorites when looking for a treat.